The master teacher, the living embodiment of Black History, led tens of thousands of Muslims of the Nation of Islam home to its founding city of Detroit, Michigan. The Honorable Minister Louis Farrakhan spoke at the NOI’s annual Saviours’ Day with unequaled authority and passion to celebrate the coming of Master Fard Muhammad, Allah in Person, and the raising of His Christ, The Most Honorable Elijah Muhammad. In his over-two-hour address to a packed Joe Louis Arena, The Minister broached a wide range of critical issues as no one else could or dares, including the “stand-your-ground” judicial policy, the Israel-pushed oil invasion of Iran, the homosexual movement, the unification of the Black religious community, the fatal corruption of the Muslim world, the Pope’s stand on Jesus, the incessant Jewish charge of “anti-Semitism,” the rebuilding of Detroit, and the obtainment of land to establish a new foundation for Black growth, development, and justice. Whilst Detroit’s masses came to hear a hopeful message of rebuilding, regeneration, and growth, the lone but expected dissonant voice of hate came from that century-old hooded heritage of the Anti-Defamation League of B’nai B’rith, which–we must give them credit—has never wavered in its defense and maintenance of the white supremacist status quo. Its current Michigan regional director, Heidi Budaj, offered absolutely no plan for the distressed city of Detroit, but instead, purportedly on behalf of the Jewish world, disapproved of the freedom talk of her runaway slaves. Despite its claims to be the voice of the Jews, the ADL did not speak for them all. In helping his attentive audience to understand the controversy created by the Jews, The Minister related an experience he had had with the recently deceased Jewish billionaire Edgar Bronfman—a man whose family has a long Detroit history that Ms. Budaj would prefer to forget. And the Black community of Detroit should know what it was like for them when Jews ruled the Motor City. It turns out that for all his bluster, Bronfman was concealing a scandalous family history—a history that put the Bronfmans in direct conflict with the earliest members of the Nation of Islam from its very beginning in 1930 in Detroit, Michigan. Edgar Bronfman and his siblings “grew up in aristocratic splendor,” in a Montreal mansion staffed with a butler, a cook, maids, nannies, gardeners, and chauffeurs. Edgar’s father, Samuel, had built his fortune in the Prohibition era, when liquor was made illegal in America. He had bought the Seagram distillery in Canada, and all through the 1920s Bronfman pumped out a poisonous rotgut swill that was loaded into boats on Lake Erie and dumped in Detroit and around America. A mob of Detroit Jews called the “Purple Gang” ran the enterprise on the American side. Bronfman’s friend, the notorious gangster Meyer Lansky, put it like this: “Sam Bronfman was bootleggin’ enough whiskey across the Canadian border to double the size of Lake Erie. It was no wonder that [they referred to] Lake Erie as ‘the Jewish lake.’” In that time, illegal liquor in America grossed $300 million a year and “employed” 50,000 people. In Detroit, the racket was 3 times larger than the city’s chemical industry, 8 times the size of its heating appliance industry, and 10 times that of its tobacco industry; it was second only to the manufacturing of automobiles! America had 200,000 illegal saloons and Bronfman tried to force his whiskey into every last one of them. His only real competition was yet another Jew named Lewis Rosenstiel, who had bought up about thirty distilleries to compete with Seagram’s. And liquor was only the tip of that iceberg. According to Israeli scholar Robert Rockaway, “fifty percent of the leading bootleggers were Jews, and Jewish criminals financed and directed much of the nation’s narcotics traffic.” Rockaway further states that these Jewish criminals were seen by American Jews as “folk heroes” because they used their underworld wealth to finance Jewish institutions, including the state of Israel. And while the Jewish community might view this history with a perverse pride, the Nation of Islam began its healing work in the Black Bottom neighborhood of Detroit—at the very same moment the city was under attack by these drug-dealing Jewish gangsters. By 1928, in Detroit alone, there were an astounding 25,000 of these illegal saloons, and it was the city’s Black neighborhoods that were most susceptible to the lures of this wicked enterprise. The Bronfman family ran off with the riches but it was the Nation of Islam that accepted the responsibility to repair the massive damage. Master Fard Muhammad revealed Himself in Detroit on July 4th, 1930, and one by one, Black men and women came to the faith. 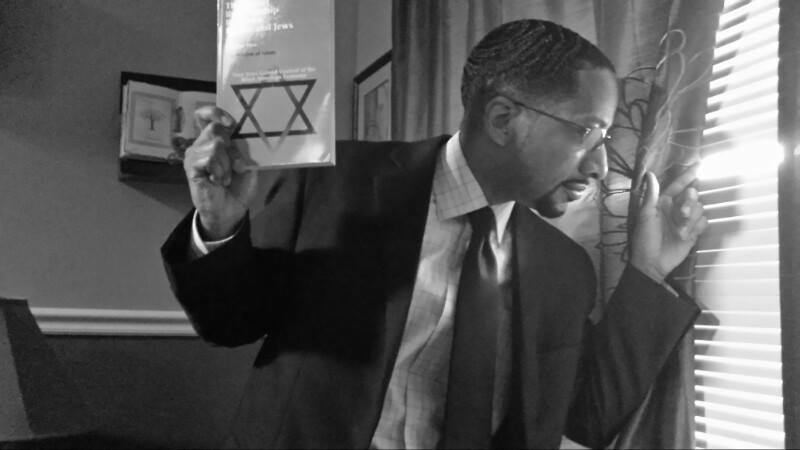 The Jewish contribution of 25,000 saloons, bars, drinking holes, and brothels stands in disgraced contrast to the 25,000 rejuvenated human beings in Detroit alone that met Master Fard Muhammad, accepted Islam, and were given Muslim names. Their first commission was to perform triage for a downtrodden people victimized by the flood of alcohol and narcotics. Such a mission in 1930 may sound like a godsend to a suffering people, but it put the early Muslims of the embryonic Nation of Islam in direct conflict with this illicit Jewish gang of “businessmen” and their organized criminal commerce. Samuel Bronfman, the Purple Gang, and the police, judges, and juries they bribed—all had to see the coming of the Nation of Islam as exactly what it was: a mortal threat to the Jews’ most lucrative revenue stream. This was money that built synagogues, Jewish community centers, Jewish businesses, Jewish hospitals, Jewish senior centers, Jewish schools, and Jewish banks. So when the Muslims assumed the task of redeeming the mind, body, and spirit of the Black man and woman, it meant removing them—and their money—from “under the influence” of the Bronfman family and their cohorts. And this is the exact point when the relationship between the Nation of Islam and the Jewish world began. Once Prohibition ended, a now “legitimate” Bronfman expanded Seagram to sell in 150 countries, his operations constituting the largest liquor distribution system in world history. And what is the Bronfman legacy to American society? The answer can be found at, of all places, the Centers for Disease Control, which reported that “excessive alcohol consumption cost the United States $223.5 billion”—that sum is larger than each of the total United States budgets of the Departments of Agriculture ($155 billion), Housing and Urban Development ($46 billion), Education ($72 billion), and Transportation ($99 billion). Only the Department of Defense is bigger ($673 billion) than liquor’s destructive effects. Huge losses in workplace productivity, increased health care expenses, overwrought law enforcement and related court costs account for liquor’s drain on the American economy. Every year, 79,000 people in the United States die from drinking-related causes. In 2012, according to Mothers Against Drunk Driving (MADD), 10,322 people were killed in drunk-driving accidents, which also resulted in 345,000 injuries. The Israeli newspaper Haaretz says: “Bronfman…led the successful fight to secure more than a billion dollars in restitution from Swiss banks for Holocaust victims and their heirs.” The paper said nothing of restitution for the hundreds of thousands of victims of his liquor empire. When our Minister wrote to the Jews in 2010 of their “vehement anti-Black behavior,” he could not have been more accurate.